The incredible story of a controversial rock star, his secret addiction to methamphetamines, and his miraculous salvation through Jesus Christ. 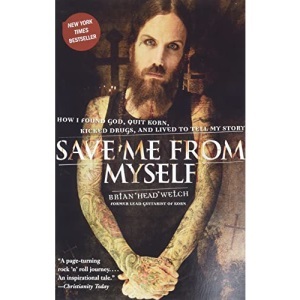 Candid and inspiring, Save Me from Myself is a rock 'n' roll journey unlike any other. Brian Head Welch was one of the founding members of Korn. In 2005, after an intense spiritual awakening, he was instantly delivered from years of substance abuse with almost no symptoms of withdrawal. Today he lives and prays with his daughter Jennea in Arizona.